Many people are reconsidering the merits of a college degree since costs seem to always be on the rise. Potential college students frequently consider whether expensive tuition, large quantities of student loan debt, and attending school rather than working is a decision that will be beneficial in the future. Attending college can be a very difficult decision for students who come from families struggling financially. It's best to consider whether obtaining a college degree is worth the time and money and conducting some research about the usefulness and value of degrees you're considering before deciding whether to enroll in college. The many benefits resulting from college education usually justifies the money spent obtaining a degree. Although wages between high school and college graduates often does not vary significantly until after years of work experience is acquired, college graduates usually earn more money during their working lives than people with only high school diplomas. The U.S. Census Bureau has reported that those with bachelor's degrees earn nearly 2 million dollars, associate's degrees nearly 1.5 million dollars, and high school diplomas nearly 1.2 million dollars during their careers. The increased earnings throughout one's working life is just one good reason to acquire a college degree. Most students currently enrolled in college and universities attend public institutions. These schools do not cost as much to attend as private schools. 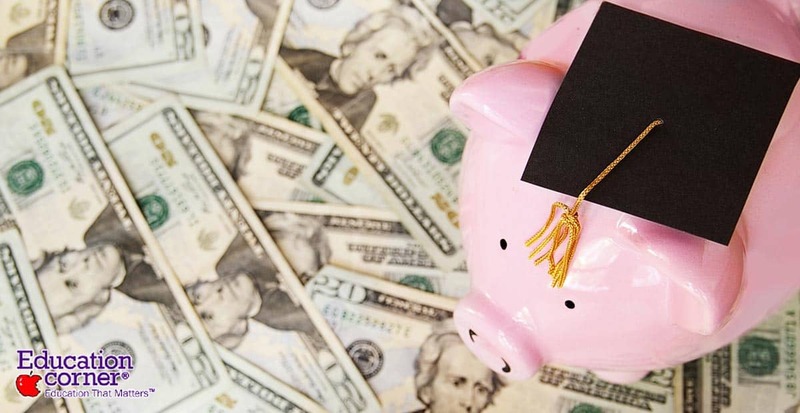 Students attending public college and universities usually pay just over 8,000 dollars per year, which includes tuition, books, and living expenses. Students attending community colleges usually end up paying nearly 1,300 dollars for tuition annually. Obtaining a college degree can be expensive, but college graduates usually earn more money during their lives than those who do not finish college. The high costs of attending college should be viewed as an investment that pays off later in life. Individuals between the ages of 25 through 64 employed during any period when this study was conducted averaged $34,700 annually. Those never completing high school averaged $18,900, while those with high school diplomas or equivalents averaged $25,900 annually. Those graduating with bachelor's degrees averaged nearly $45,400, while those successfully completing graduate programs averaged $99,300 annually. Therefore, there is a correlation between increased earnings and higher education levels. Another factor affecting wages is work experience. Full-time workers employed year-round usually earn higher wages than part-time and seasonal workers. When this survey was conducted, over 70 percent of workers were employed full-time. Full-time employment rates vary among different groups. For example, people with college degrees are more likely to be employed full-time than those without high school diplomas. More men are employed than women since many women stay home and raise children. No matter a worker's experience, individuals with more education usually earn higher annual salaries. To gain a more accurate understanding of the labor market without demographic biases, it's best to evaluate the earnings projections derived from the year-round full-time workers statistics. On average college graduates earned 56% more than high school graduates in 2015. High school graduates earned 40% more than those with less than a high school diploma. This trend of higher wages correlating with higher education is best understood by examining the increasing demand for skilled workers in the workforce. During the 70's, wages for college graduates stagnated because of the oversupply of educated workers in the workforce. However, technological improvements during the recent years have created a huge demand for workers with specialized training and skills. This has increased wages for educated workers. The trend has been the opposite for less educated workers. Since labor unions are not as influential as they were in the past, wages for individuals without high school and college education have decreased. Earnings differences by educational attainment compound over one's lifetime. Estimated lifetime earnings between workers with varying levels of education provide a clear indication of the wage discrepancies between workers with college educations and those without them. According to lifetime earnings projections, full-time workers with only a high school degree are projected to earn nearly $1.2 million dollars through the course of a 40 year career. The same projections for those without high school degrees neared $1 million dollars. Workers who earned some college credit but did not graduate are projected to earn $1.5 million dollars through the course of a 40 year career, while graduates from associate's programs will earn about $1.6 million dollars. Those who completed four year or graduate programs are projected to earn the most during a 40 year career. Graduates of bachelor's programs are projected to earn near $2.1 million dollars, while those with master's degrees are estimated to make just over $2.5 million dollars. It's projected that individuals with PhDs will earn about $3.4 million dollars during their careers, and professionals, lawyers or doctors, for example, are projected to make about $4.4 million. What this research has shown is that workers with higher levels of education usually earn more during their working lives than workers with less education. Therefore, investing in education usually pays off later in life in the form of higher wages. Besides higher wages, there are numerous other benefits associated with graduating from college. Many college graduates enjoy the opportunity to work where they want to live, have more time for recreation, and have a high standard of living. Some of the greatest benefits of a college education are experienced during school. Students have the opportunity to learn about different cultures and interesting subjects. They are also introduced to theories and unfamiliar ideas they might not learn about without attending college. Some research indicates that many college graduates have healthy lifestyles. As a result, children of college graduates often receive instruction about the importance of good nutrition and exercise. This in turn improves the quality of life and life expectancy rates for college graduates and their families. Some research has documented a link between increased morality and college education. For example, researchers have demonstrated that college educated mothers devote a considerable amount of time teaching their children values and educating them. Society benefits overall from higher education. Some of the benefits include higher tax receipts, increased public awareness about important issues, and lower unemployment rates. According to a recent study, nearly 600,000 students drop out of college every year. Those not finishing college usually have lower wages than college graduates of both four year institutions and community colleges. Students at community colleges also improve or develop cognitive abilities at nearly the same rate as students at traditional colleges and universities. Tuition expenses, however, usually differ at 4-year schools and community colleges, with students attending 4-year institutions usually paying more. Since cognitive skills development improve at the nearly the same rate and community college is less expensive, individuals not completely committed to graduating should attend community college. Those who enter four-year colleges or universities should commit to obtain a degree because of the time and financial commitment made any year during college.